England beat Colombia on penalties to reach quarterfinals - SABC News - Breaking news, special reports, world, business, sport coverage of all South African current events. Africa's news leader. 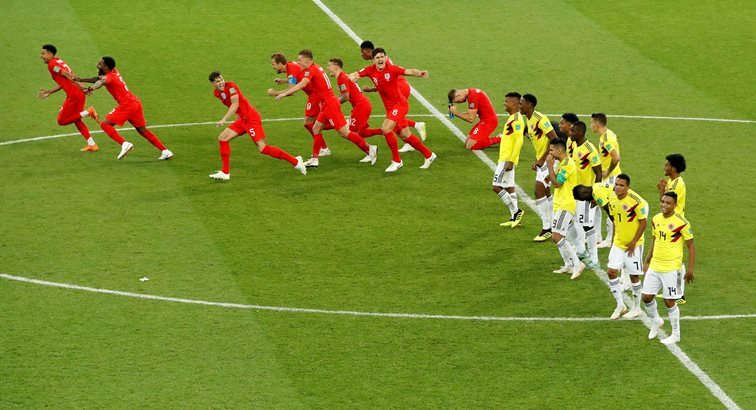 England players celebrate while Colombia react after the penalty shootout.